The 13 local vertical datums (LVD) datums are defined in terms of mean sea level at their respective standard ports. They offset from each other and from NZVD2016. The value of this offset varies depending on horizontal position; this means that a relationship grid is required when transforming heights between datums. 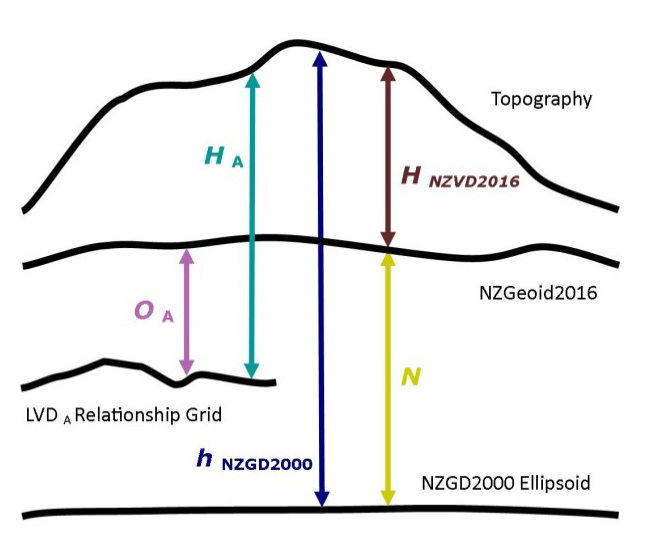 The vertical datum relationship grids can be used in conjunction with NZGeoid2016 to transform NZGD2000 ellipsoidal heights to normal-orthometric heights in terms of the local datums. The relationships between the different height surfaces are shown in the figure below. 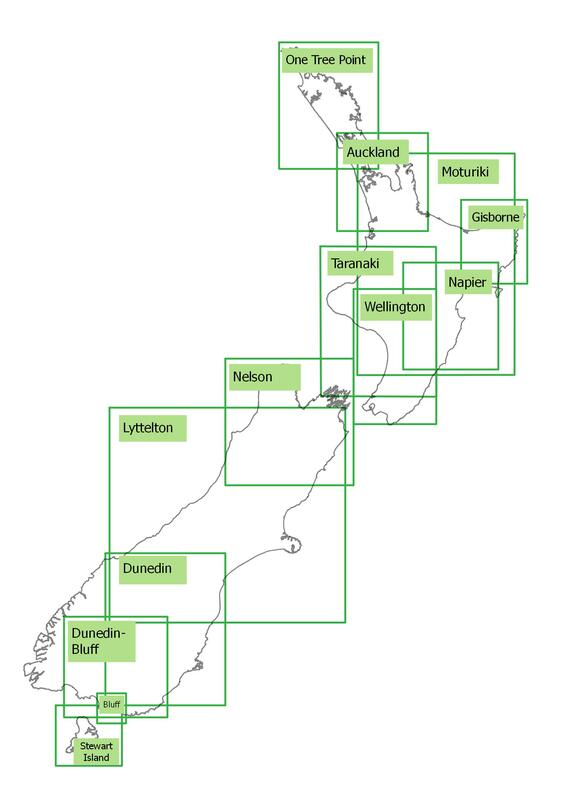 The vertical datum relationship grids are calculated using the values from the local datum to NZGeoid2016. These values are interpolated on a 2’ x 2’ arc grid of which covers the datum extent. The vertical datum relationship grid values are positive when NZGeoid2016 is above the local datum. There is a unique vertical datum relationship grid for each of the LVD, the location and extents of which are shown in the image below.